The Here & There is one of the three new patterns in my SIMPLE START skill building collection of patterns! Skills learned in this are a curved rolled hem, and finishing edges with bias trim facing, inset gore, crossover styling and a dolman sleeve! 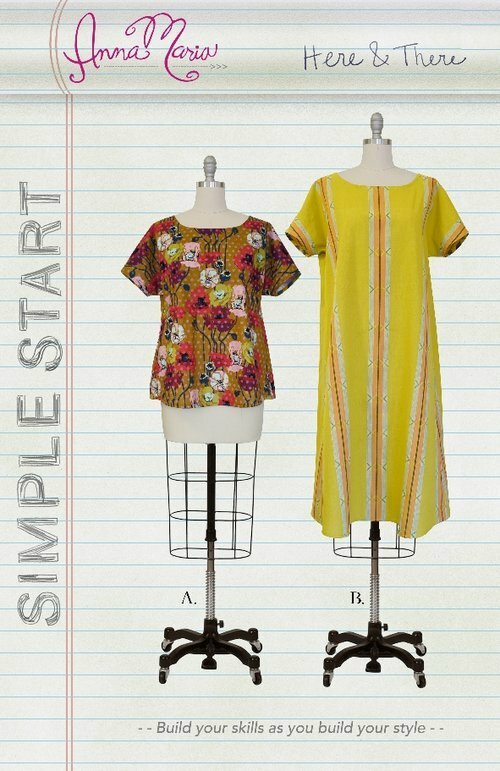 The pattern features two options, flowy tunic and a comfy blouse both with fun back details. These patterns are perfect to teach from and were developed from the most popular classes that I have developed for my shop, Craft South.